8.5x11, Score: viii + 79 pp. ; Part: 24 pp. The Paris Conservatoire’s rigorous curriculum for training both singers and instrumentalists led to a wealth of musical treasures in the form of pieces composed specifically for the end-of-year examinations, which culminated in a public prize competition, the Concours du Conservatoire. The solos composed for these examinations, both the sight-reading works and the longer contest pieces (morceaux de concours), constitute the first extended series of compositions for woodwinds, brass, and harp in music history, being composed nearly annually for each instrument beginning in the 1830s. The wealth of musical treasures resulting from this systematic accumulation of works represents the historical core of these instrumental repertories today. 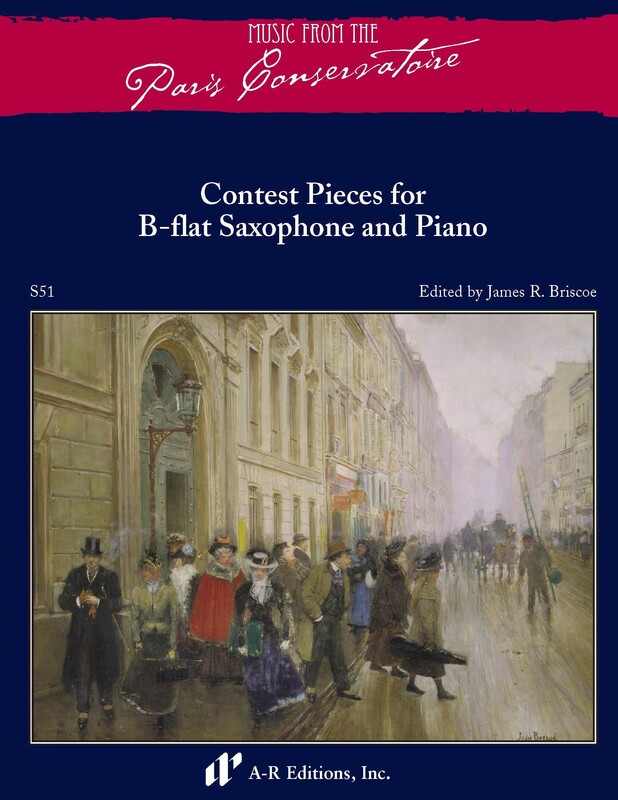 The present volume contains a selection of morceaux de concours by both the teacher-composers of the Conservatoire saxophone class and other influential composers whose works are suitable for saxophone performance.